Were you born alone into the world? Have you always wanted to know what it felt like to have not just a sibling, but a twin? Do you feel the weight of cosmic loneliness pressing down on you because there’s no one to share your experiences with as you march inexorably toward the grave? Now there’s something you can do about it. 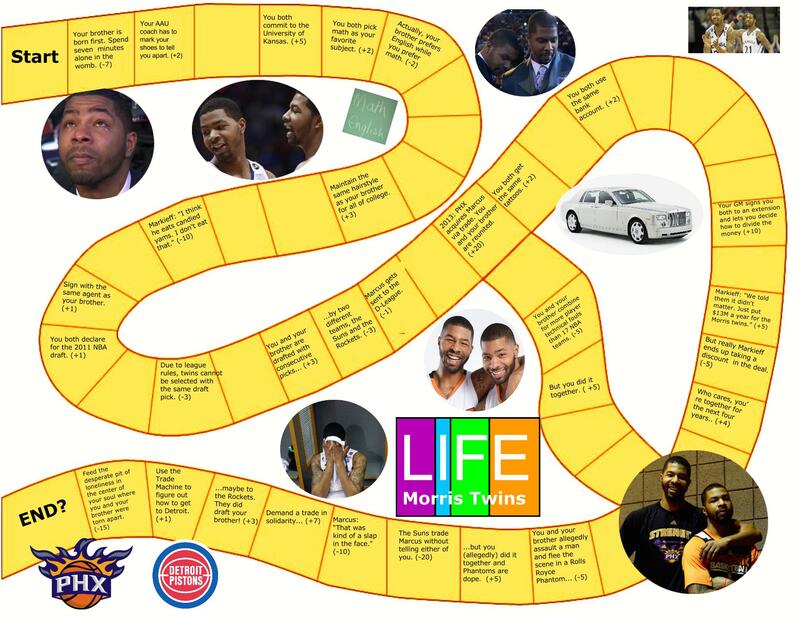 The Game of Life: Morris Twins Edition is the new board game that lets everyone feel the joy of being a professional basketball player who has a twin brother who is also a professional basketball player. Simply print out the board, roll the dice, and move your game piece to collect twin points. But look out for the pitfalls! The world will always try to split you and your brother up. It’s all part of The Game of Life: Morris Twins Edition.